By its modern chic spirit, the collection MINTY will make your room a trendy and welcoming space. 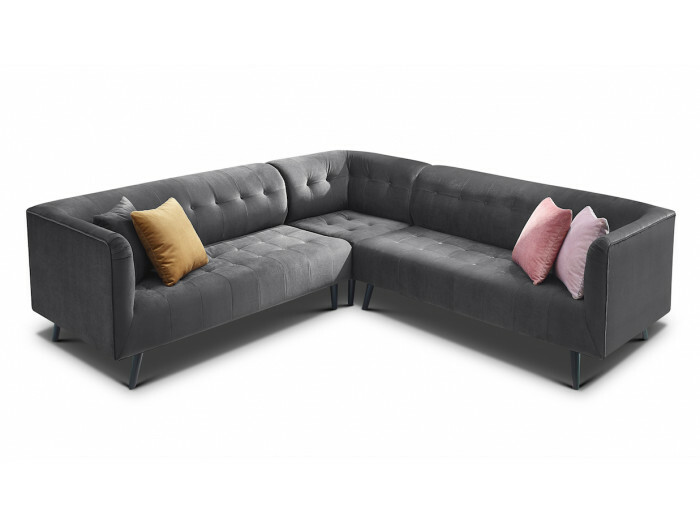 Its seats are rounded and comfortable, and will even satisfy the most demanding, and its chrome-plated legs will be jealoused. 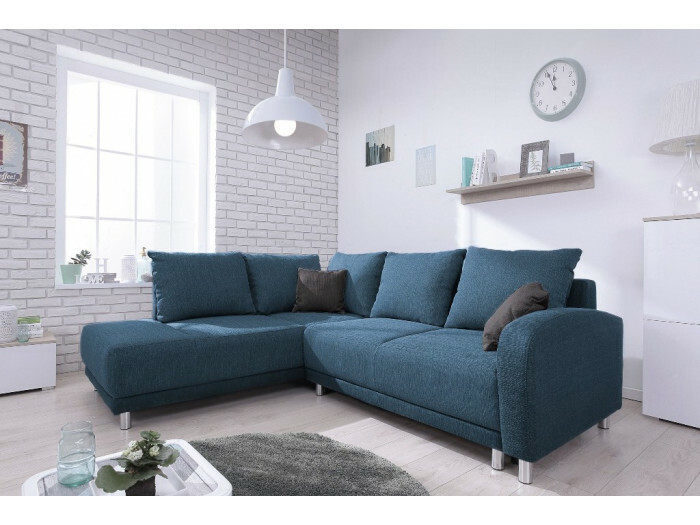 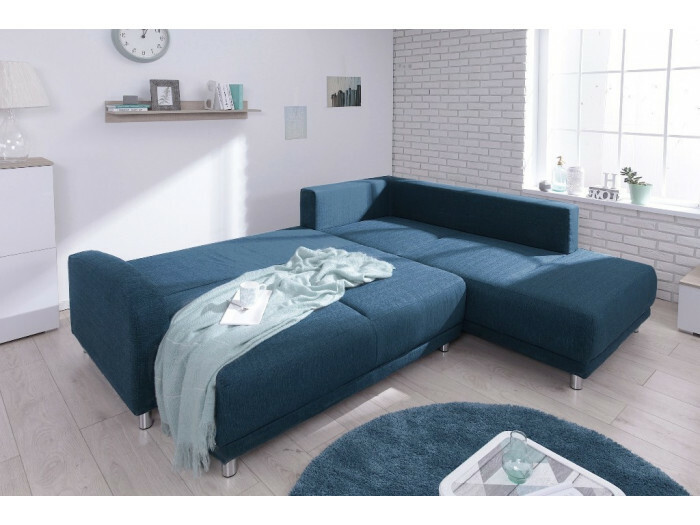 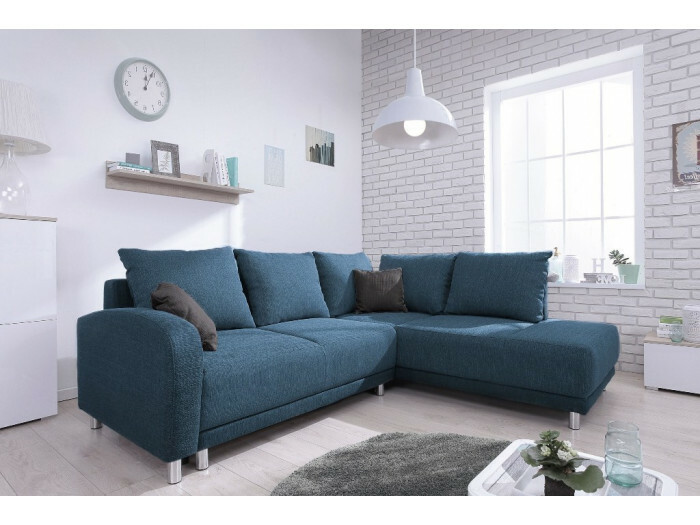 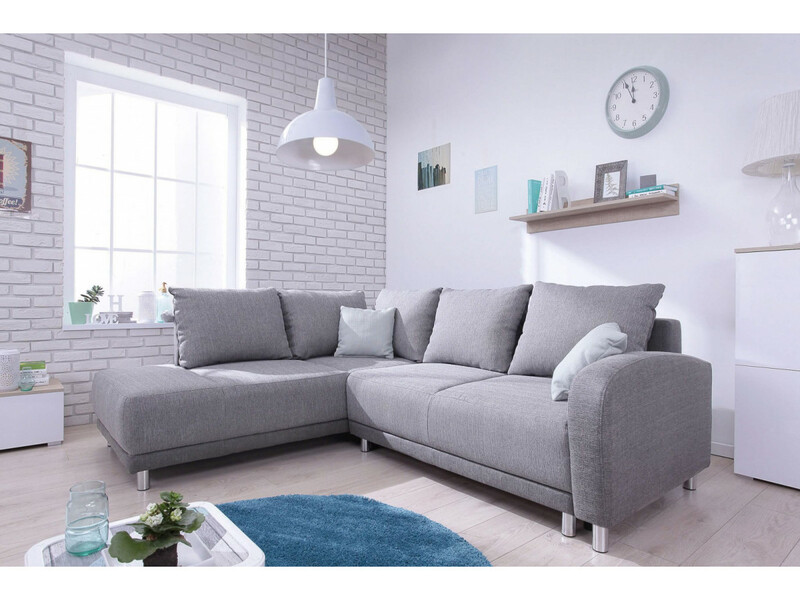 By its large size, the sofa large corner convertible MINTY will perfectly adapt to your interior and will be able to welcome many people. 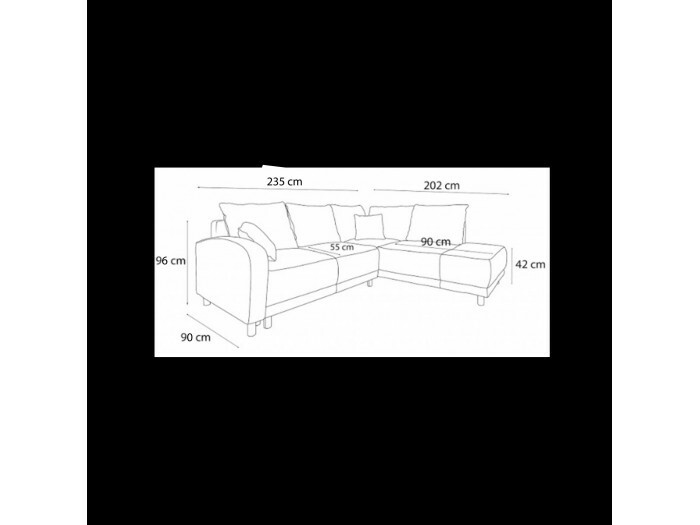 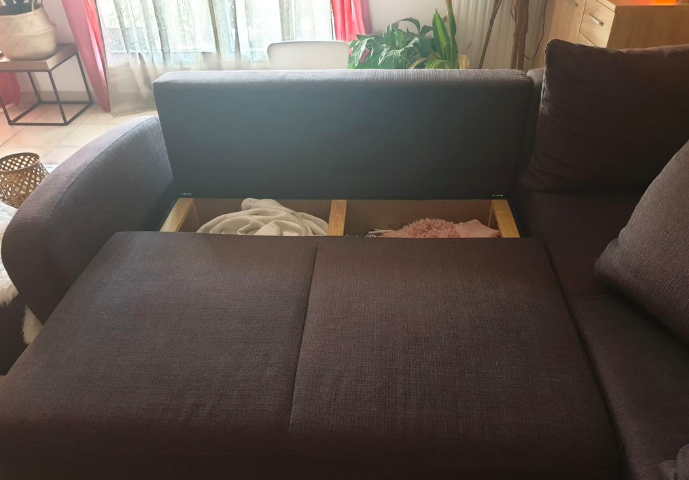 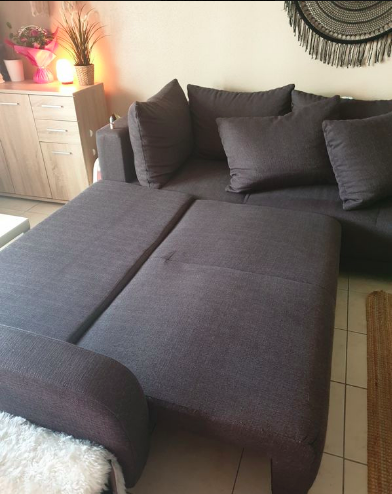 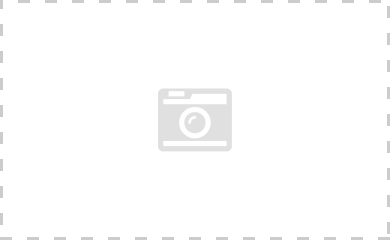 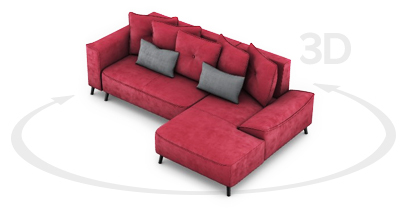 In less than 5 seconds, the sofa will transform into bed for your enjoyment. 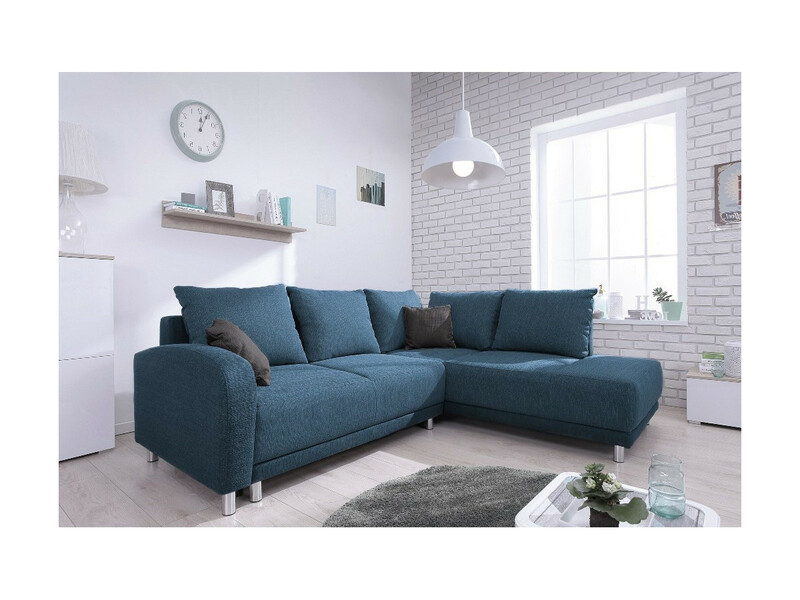 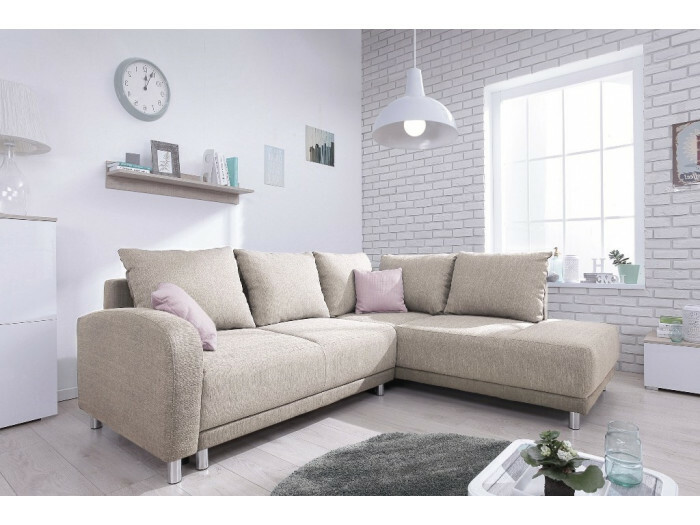 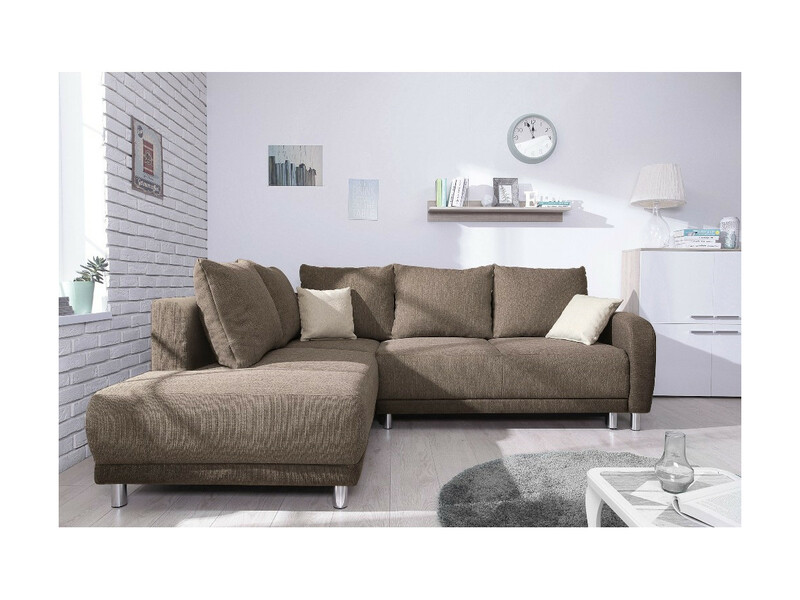 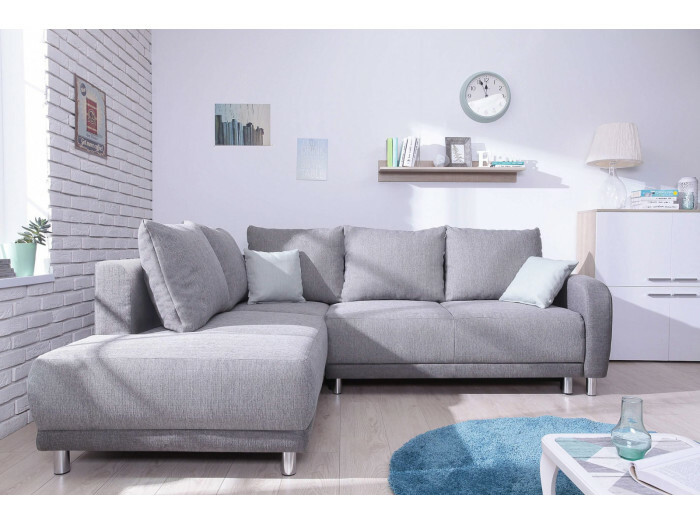 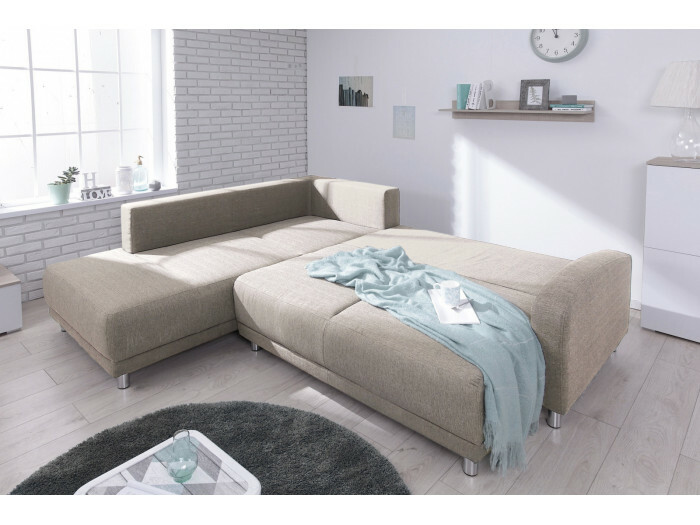 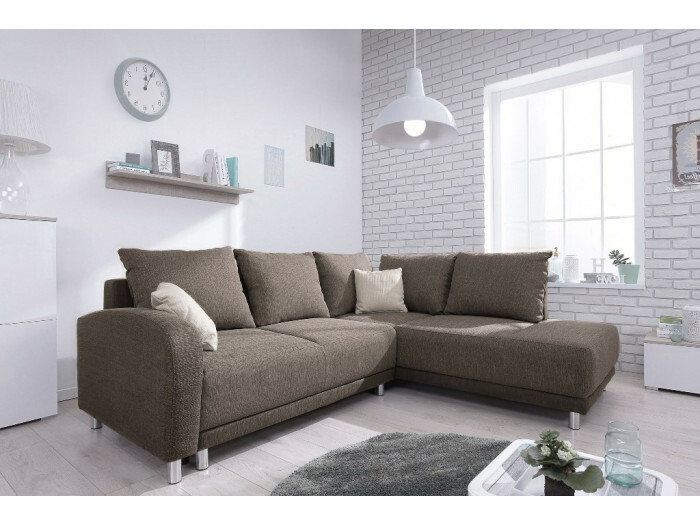 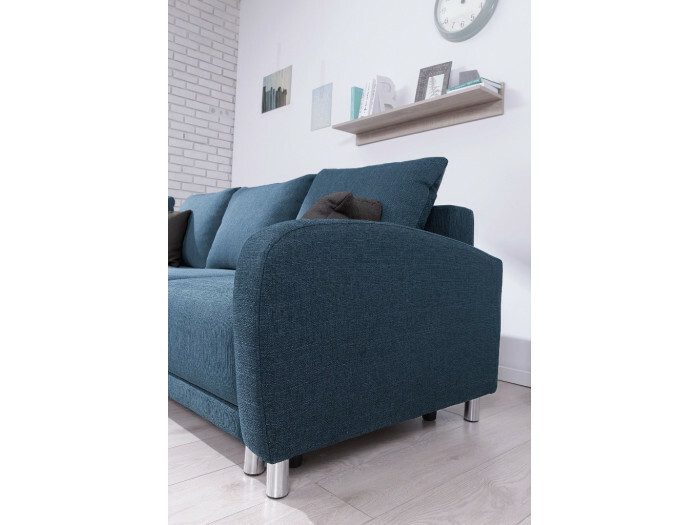 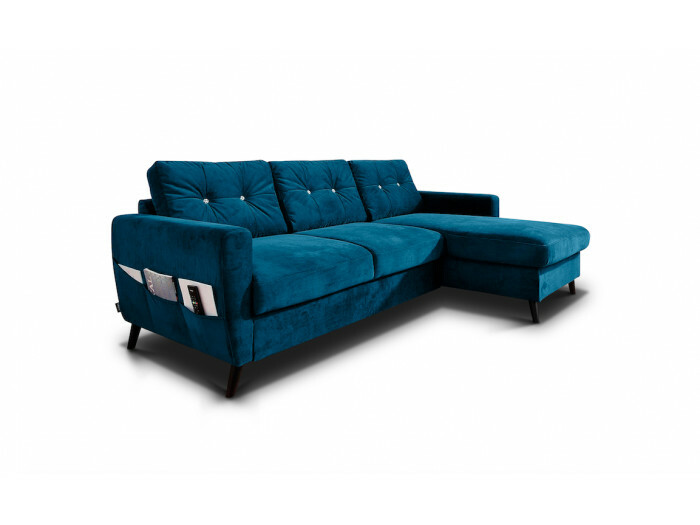 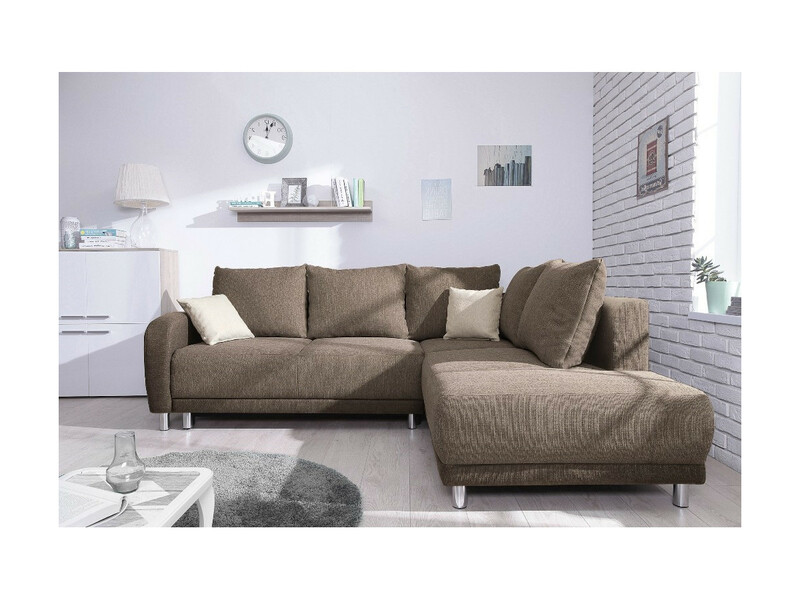 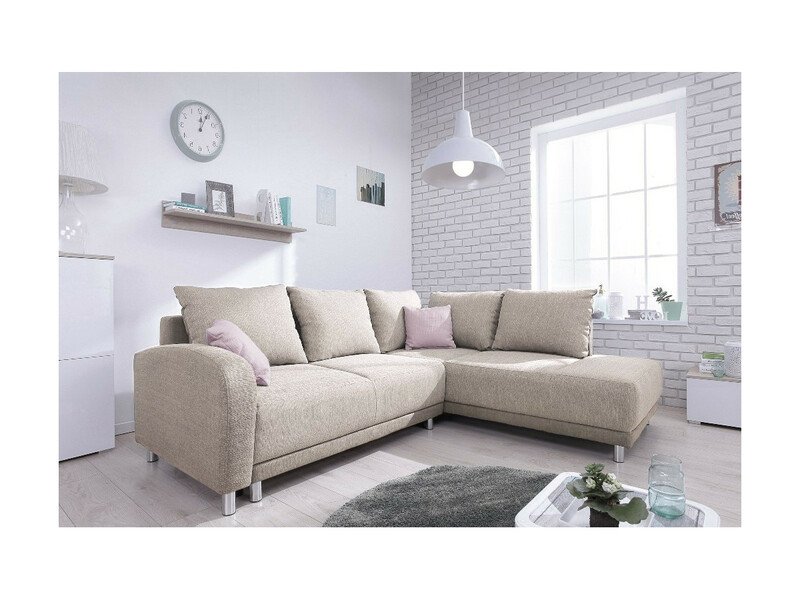 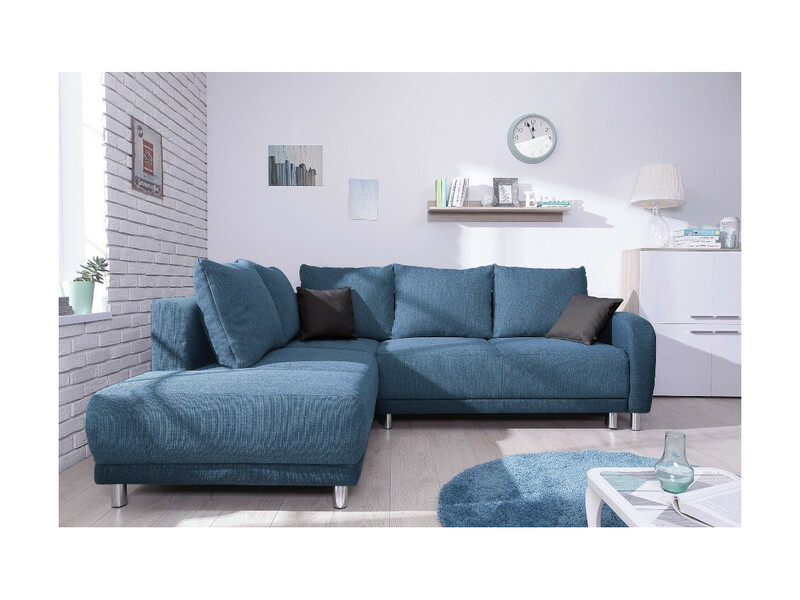 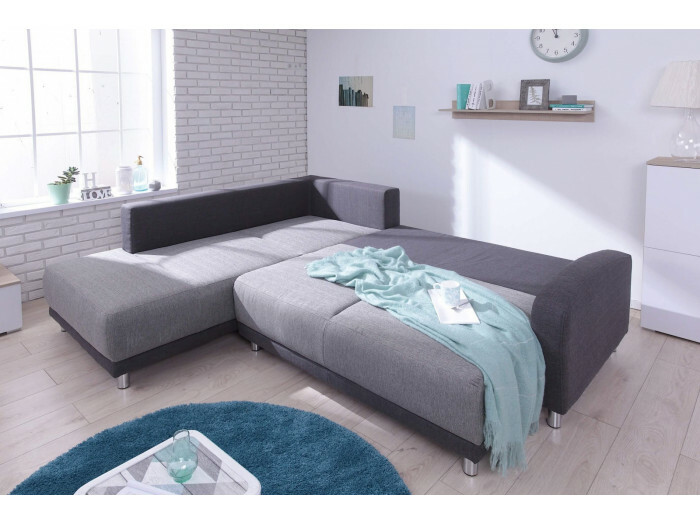 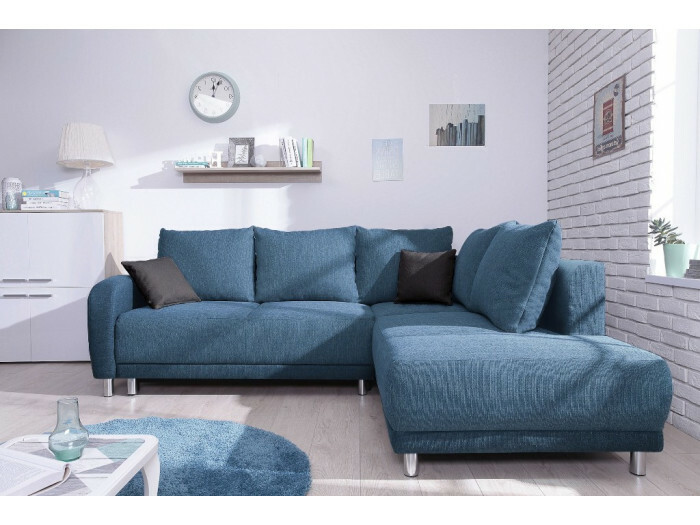 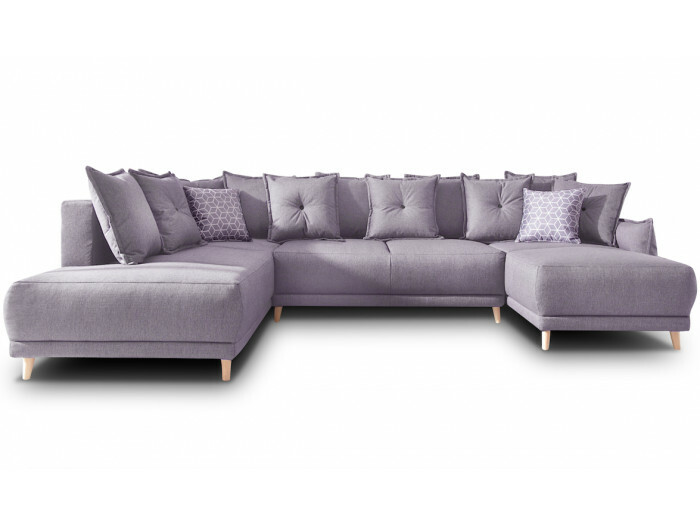 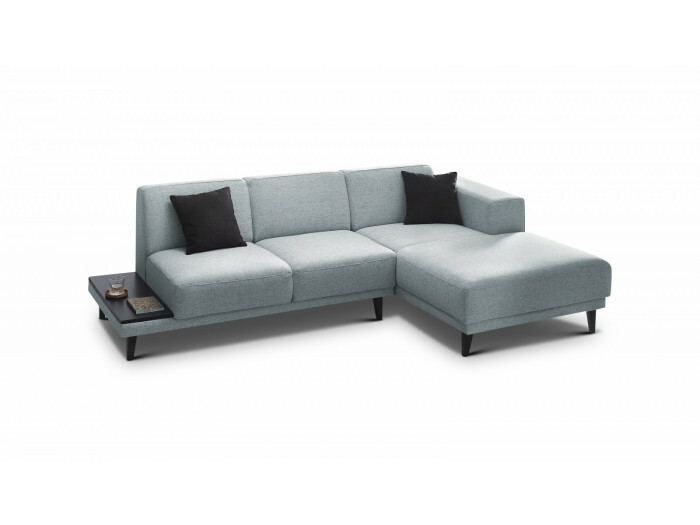 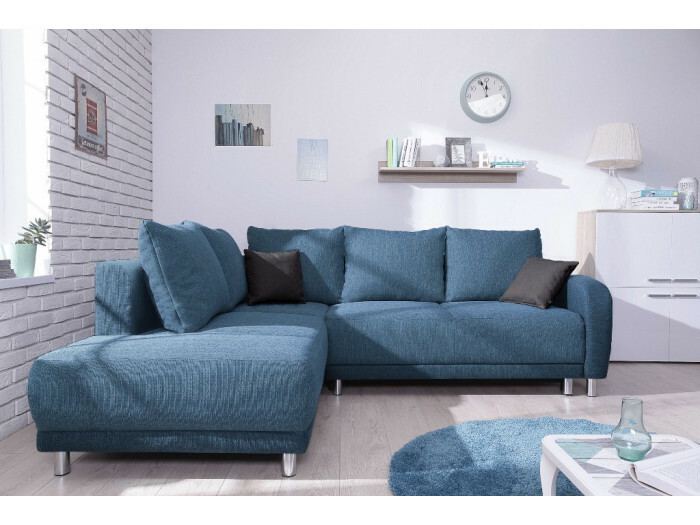 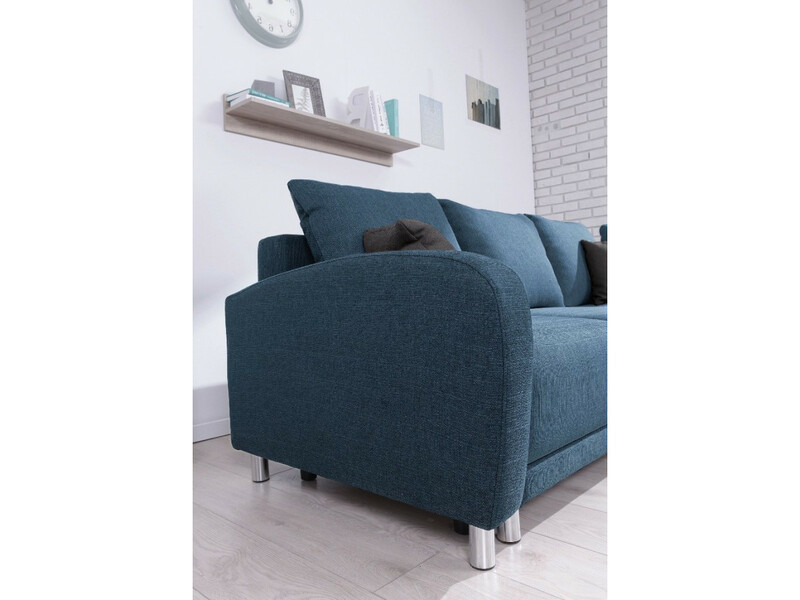 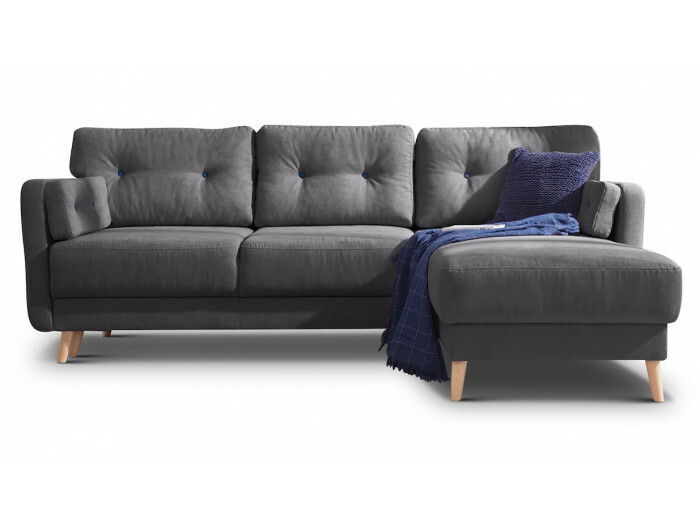 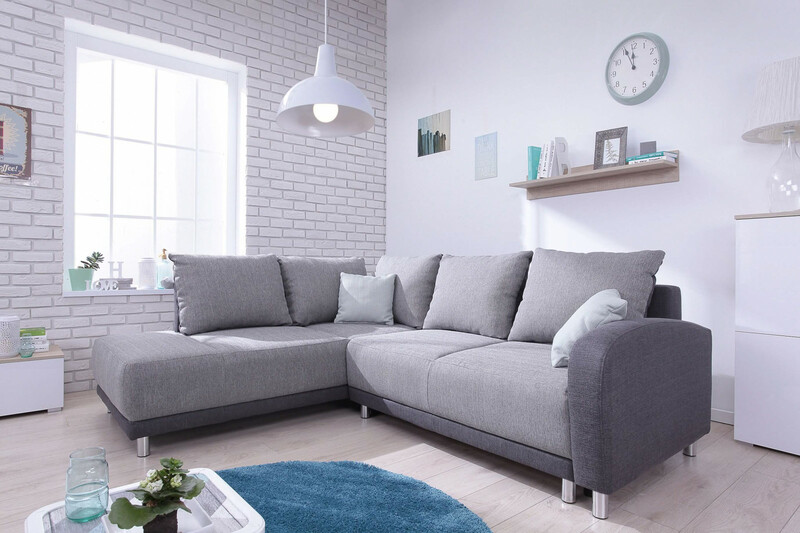 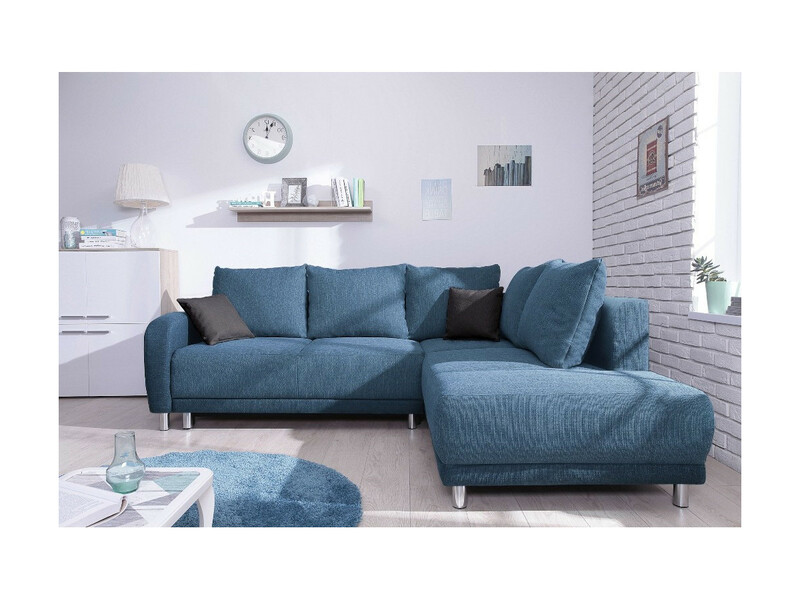 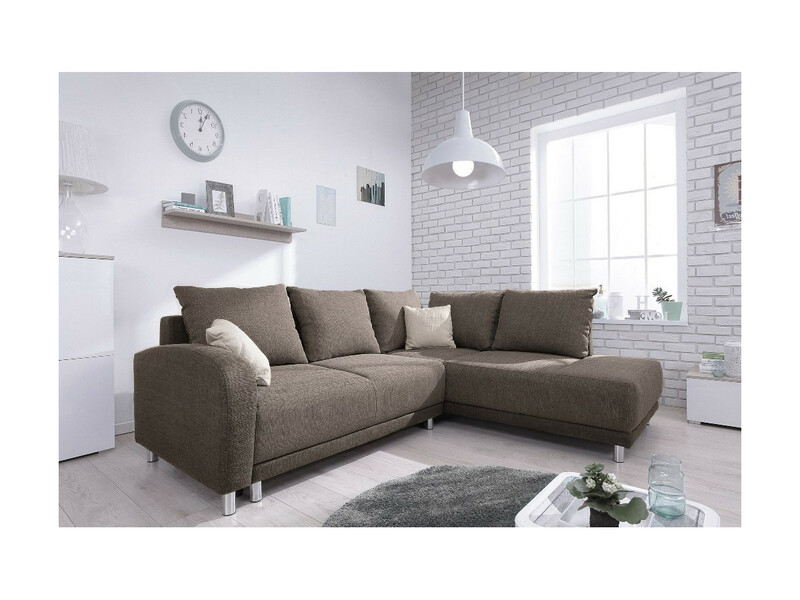 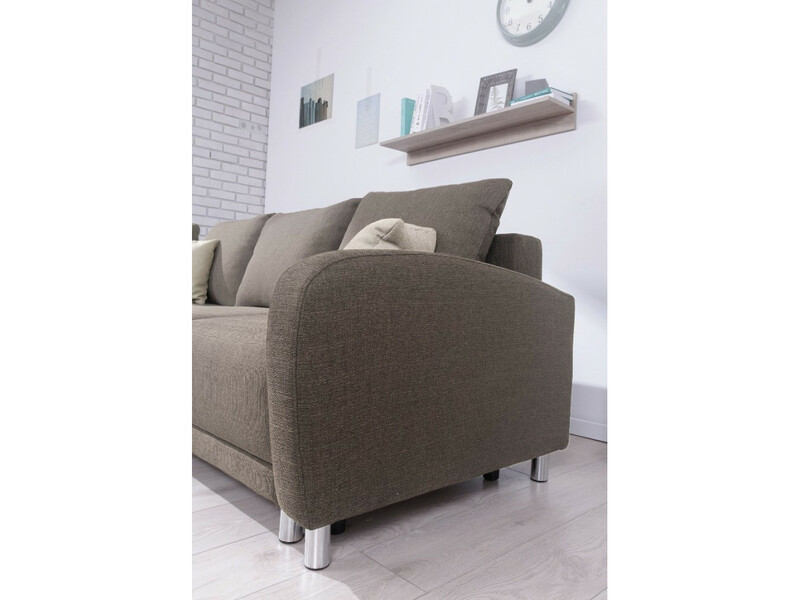 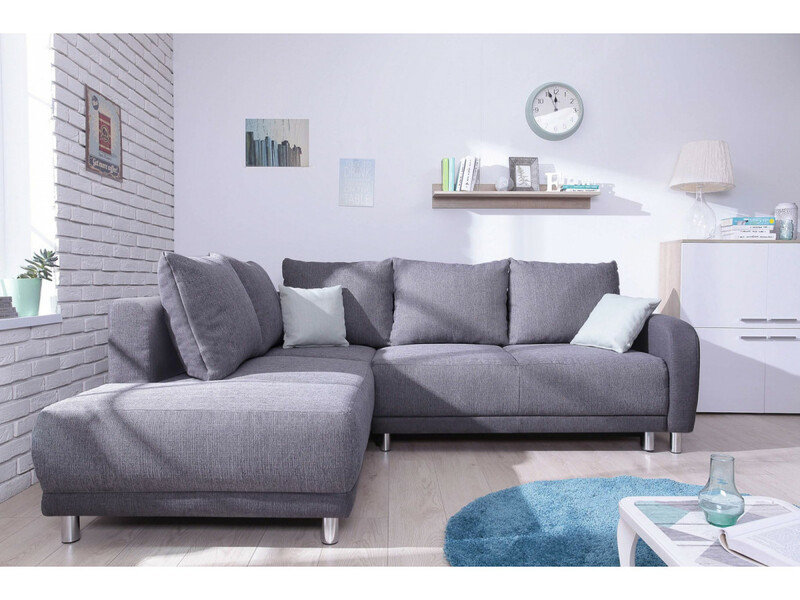 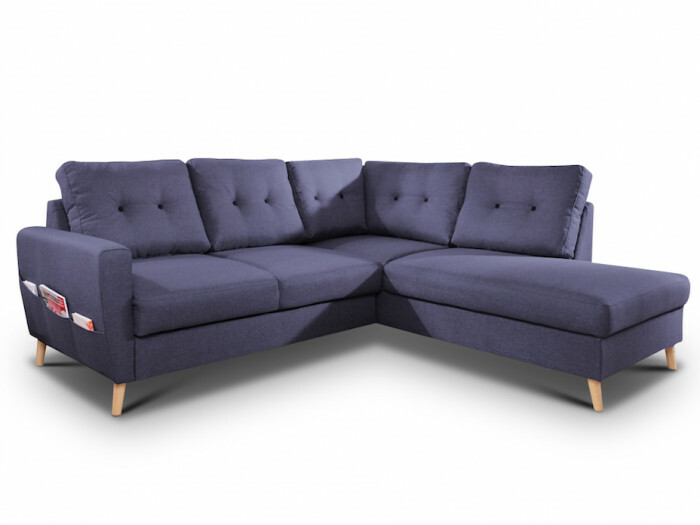 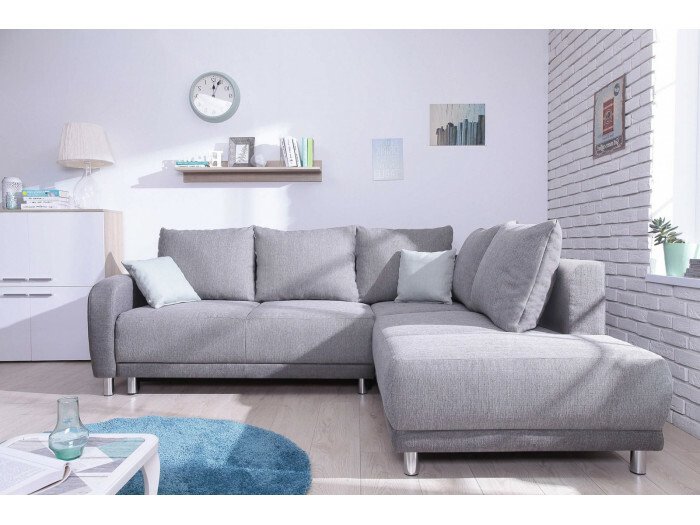 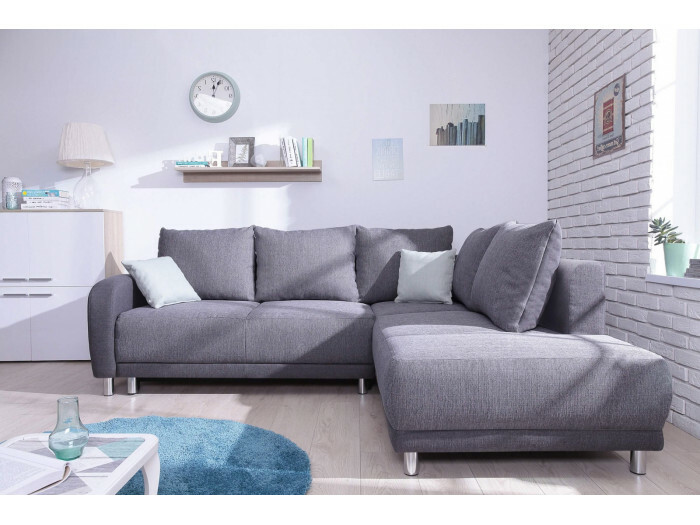 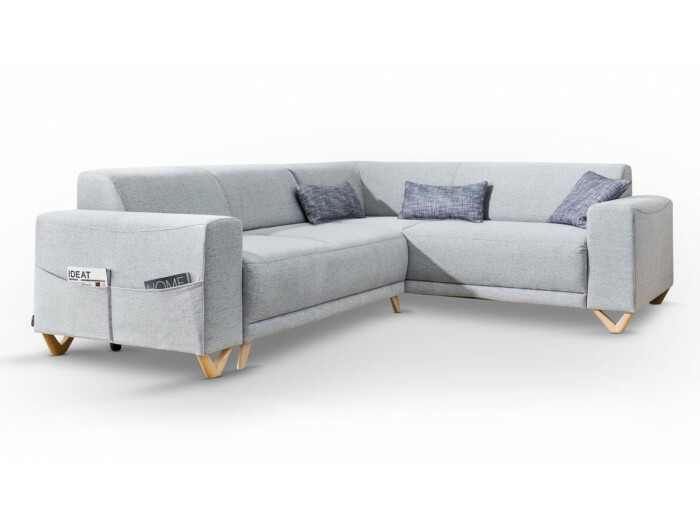 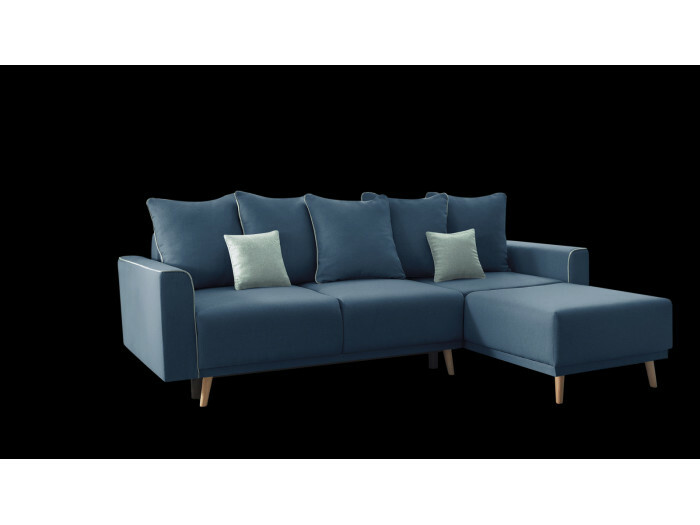 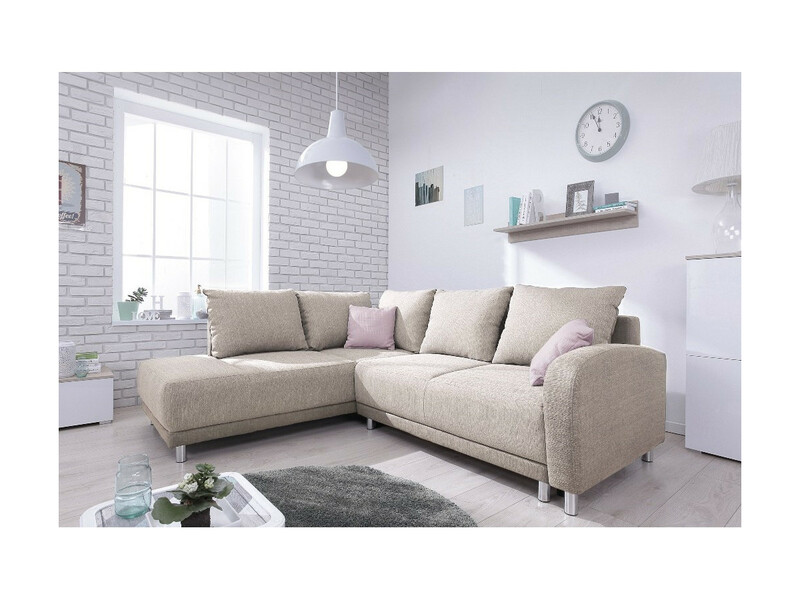 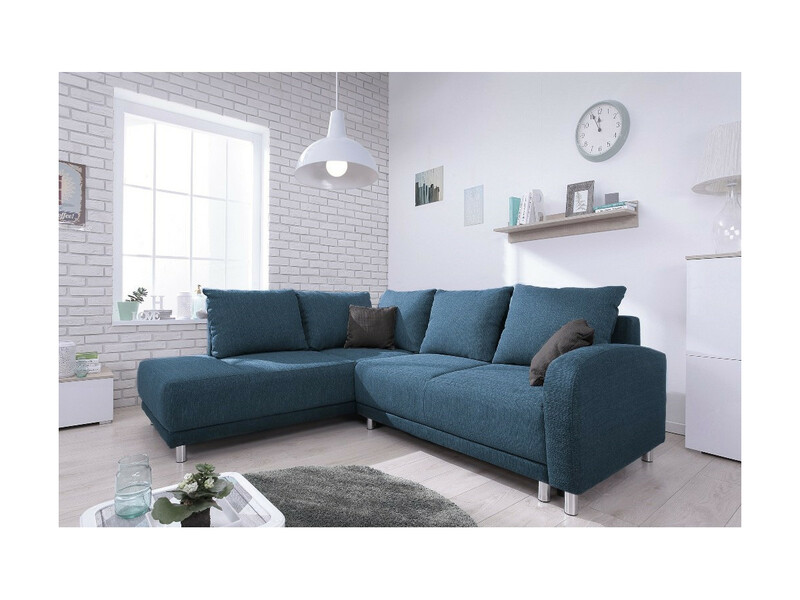 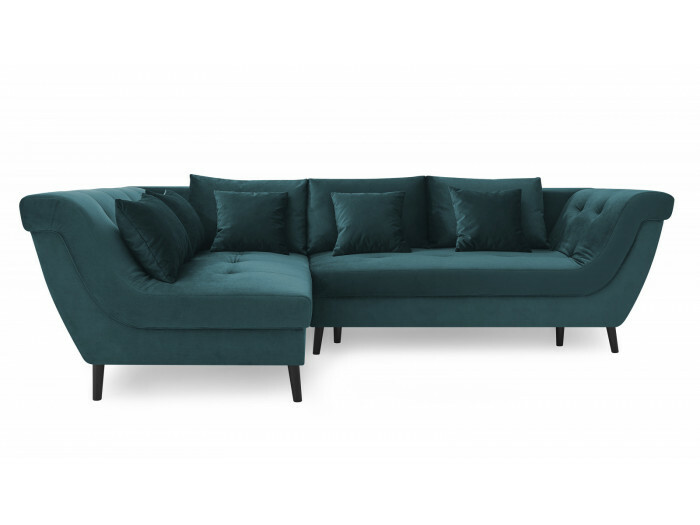 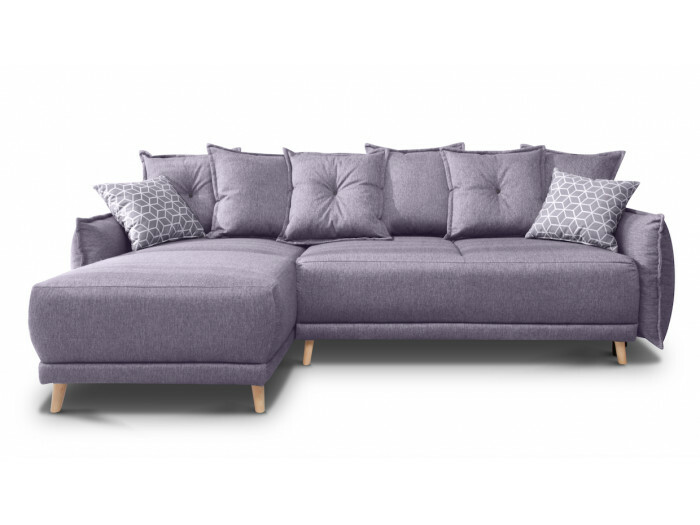 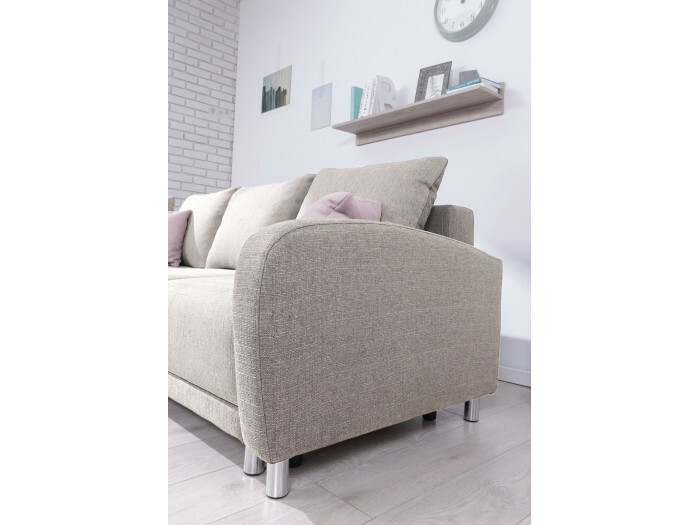 The convertible big corner sofa L Minty is a sofa that is more than comfortable thanks to its large seats. Its decorative cushions give a trendy aspect to your room. Practical, it turns into a bed whenever you need it. 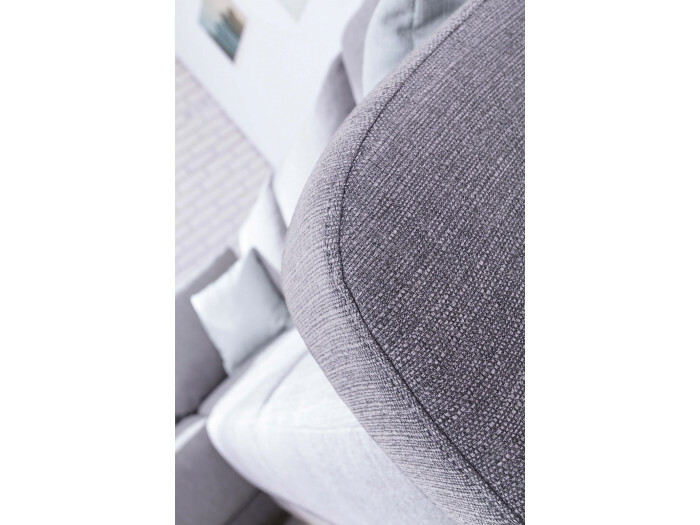 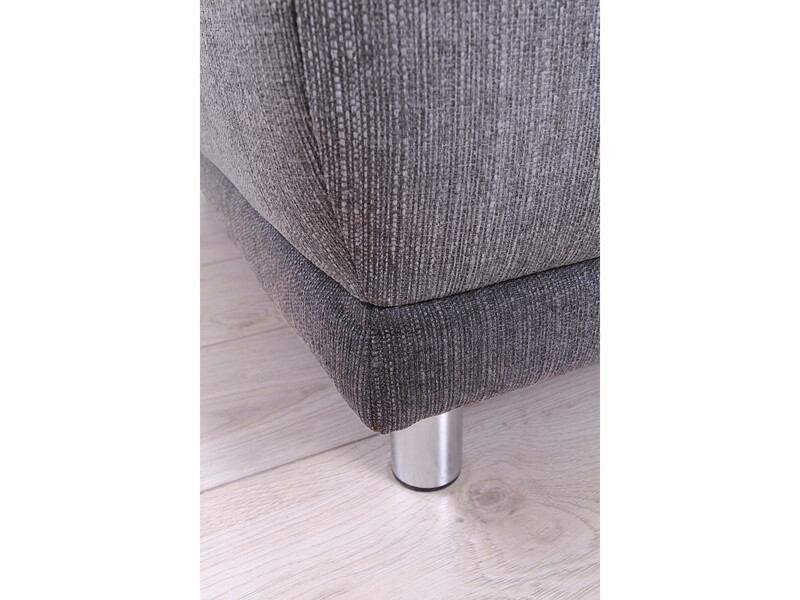 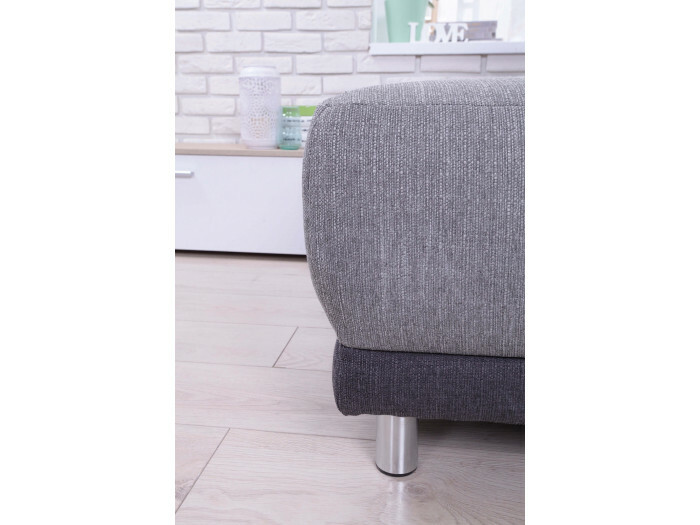 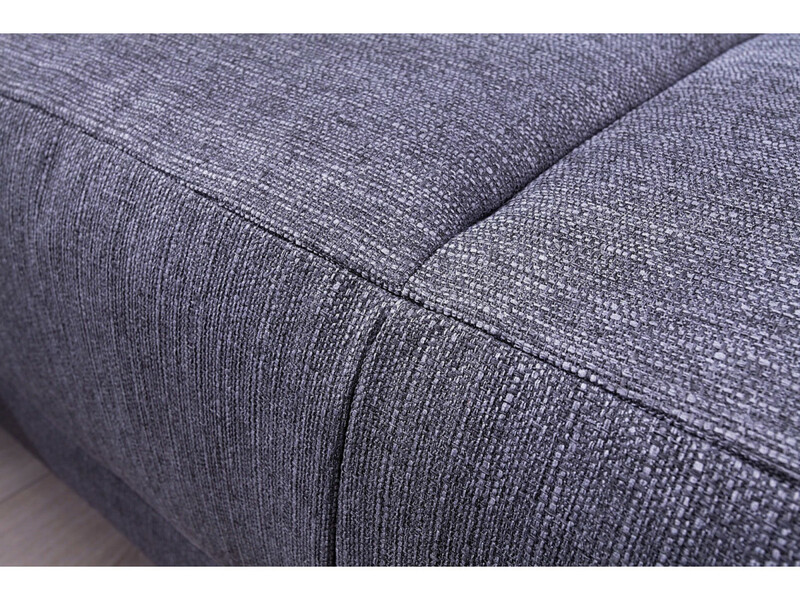 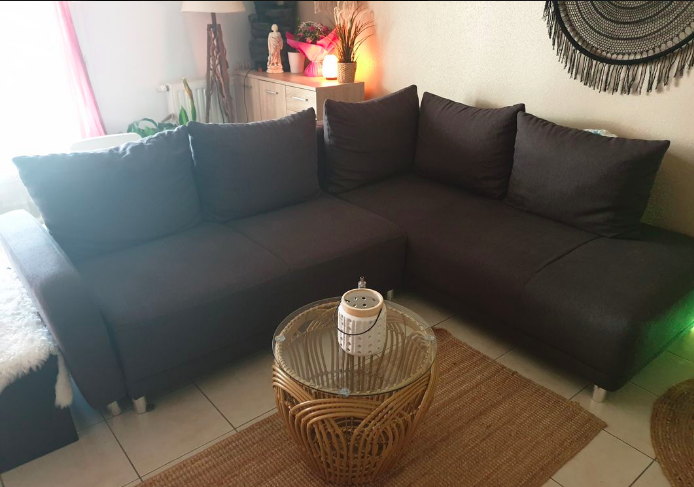 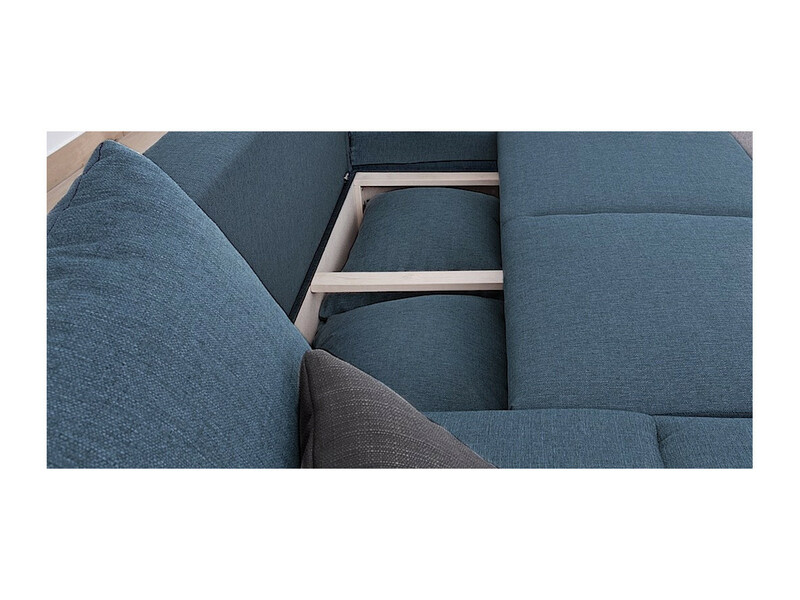 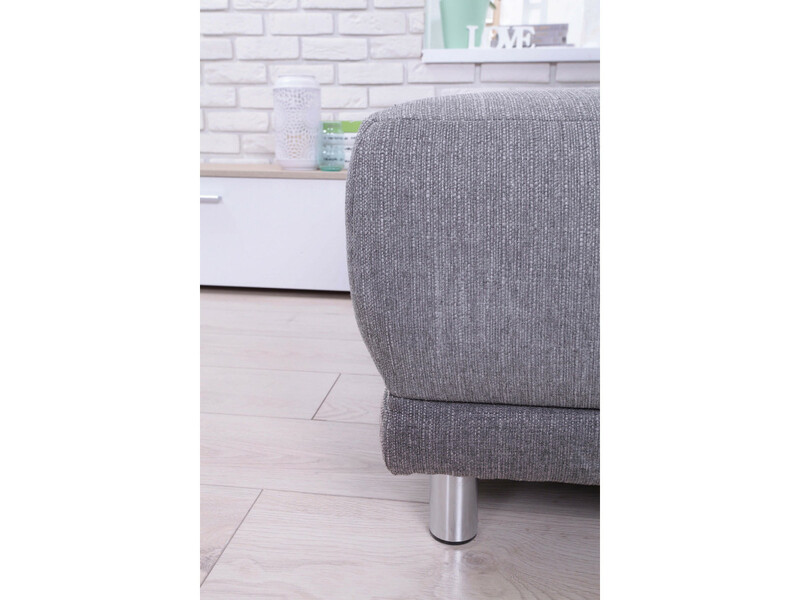 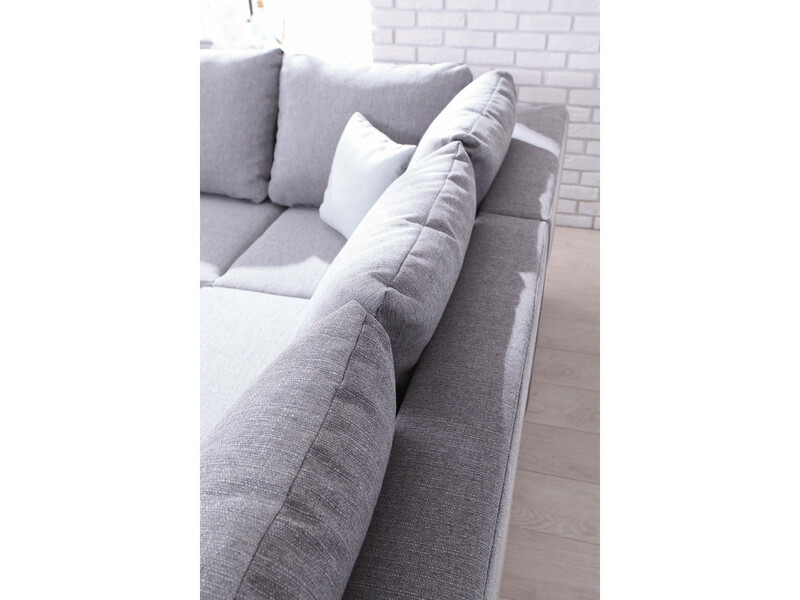 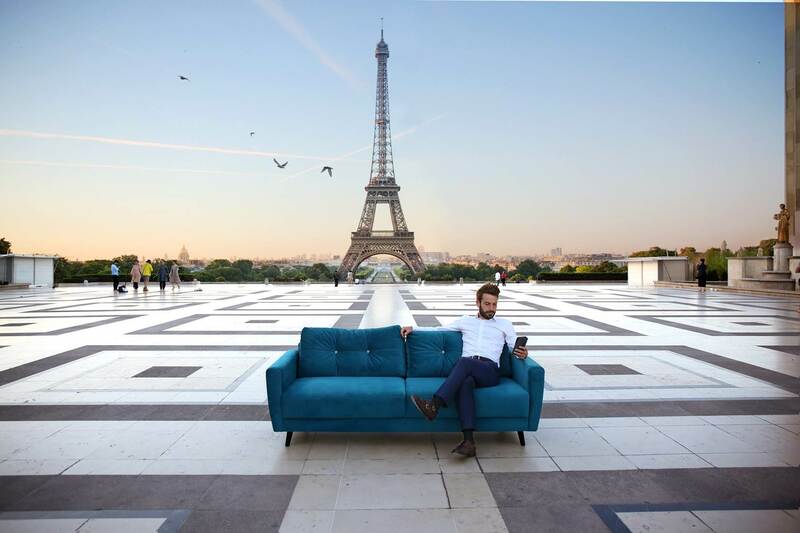 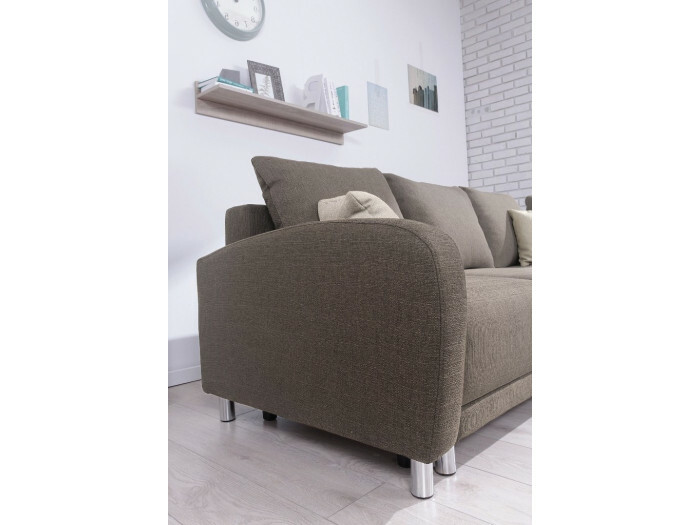 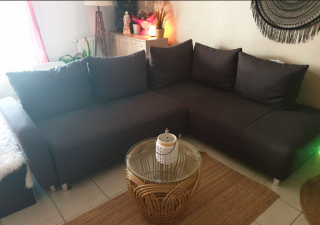 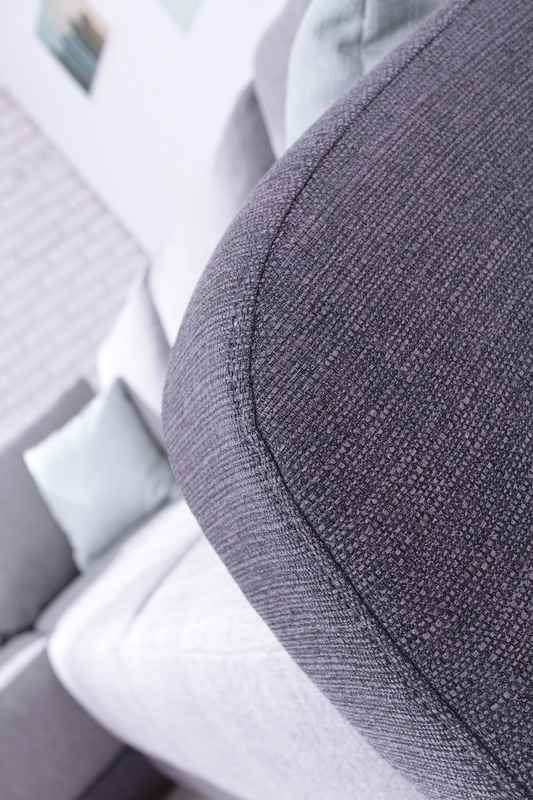 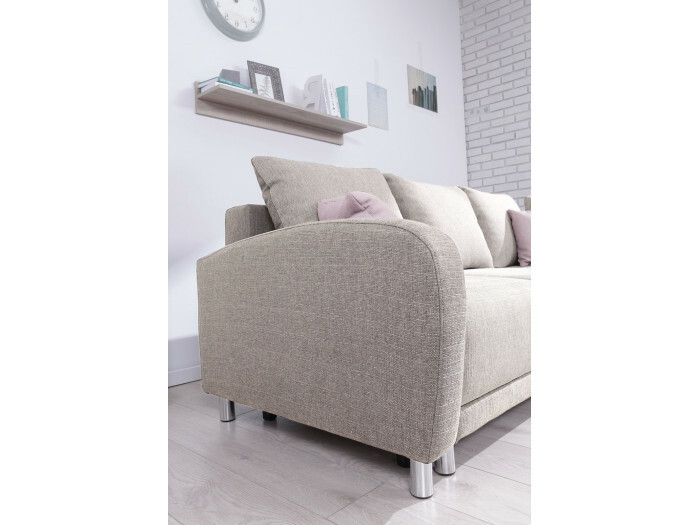 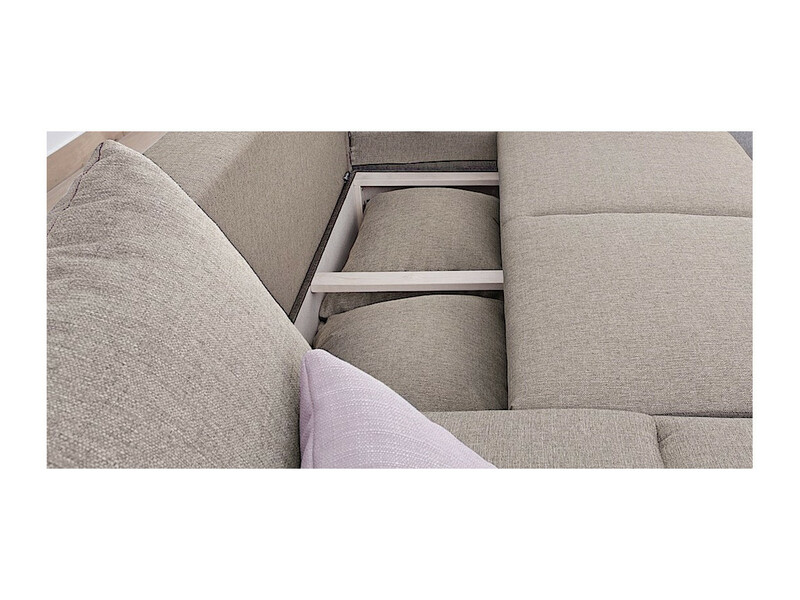 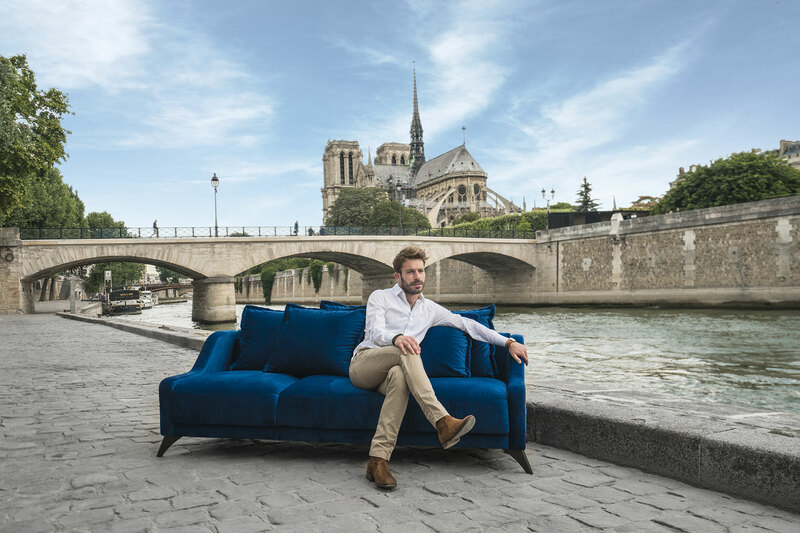 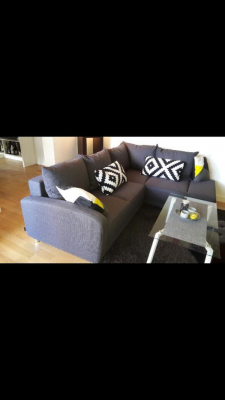 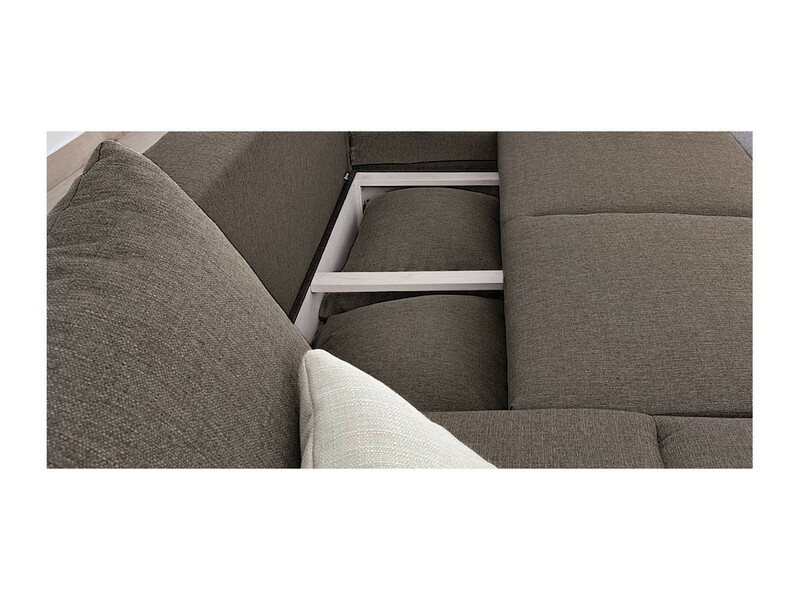 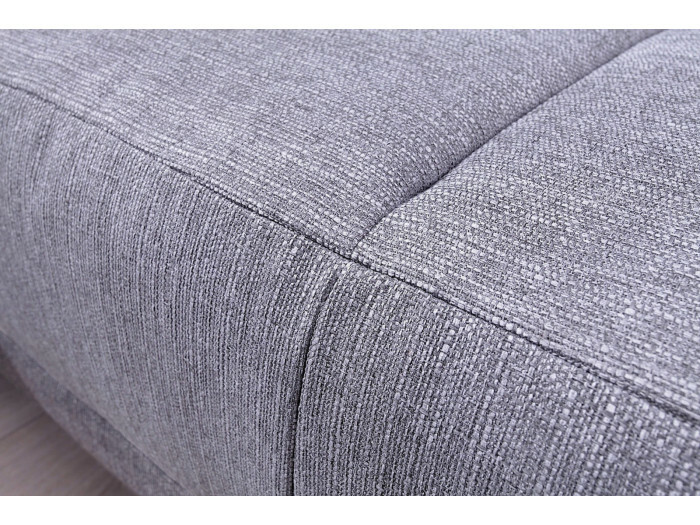 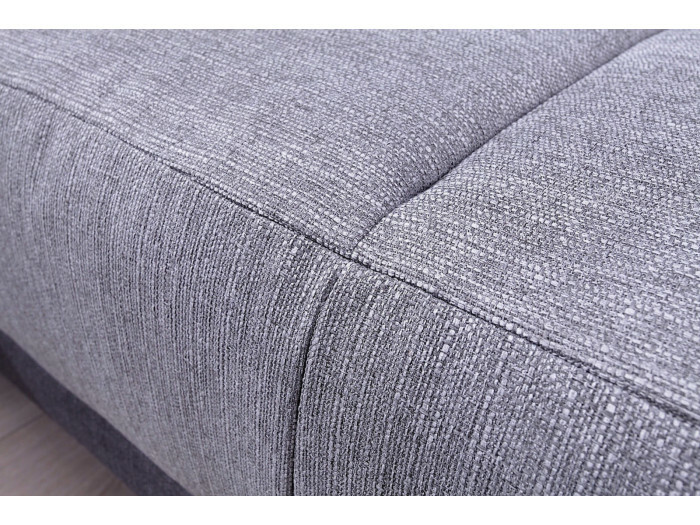 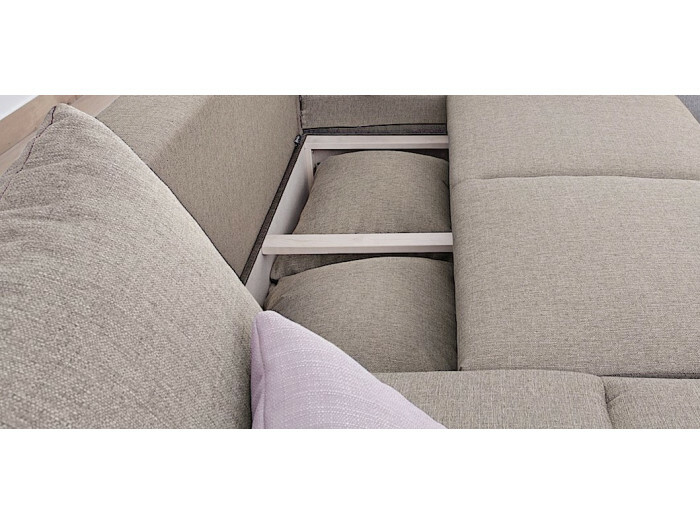 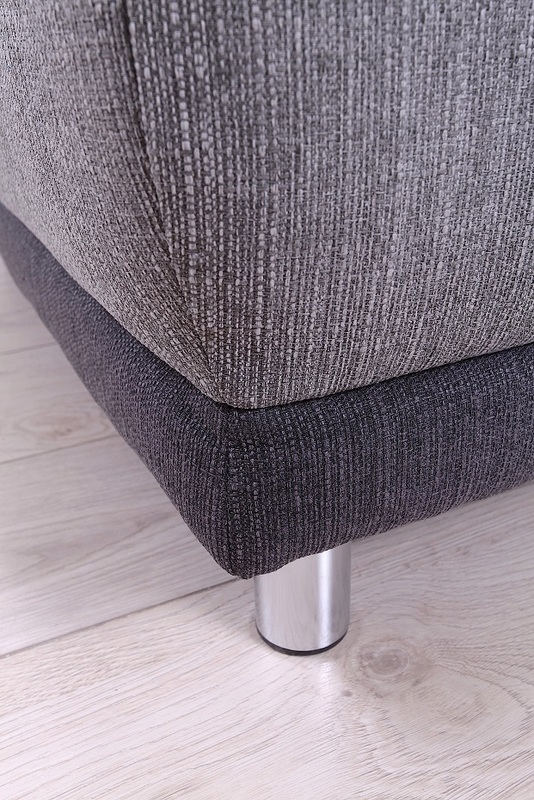 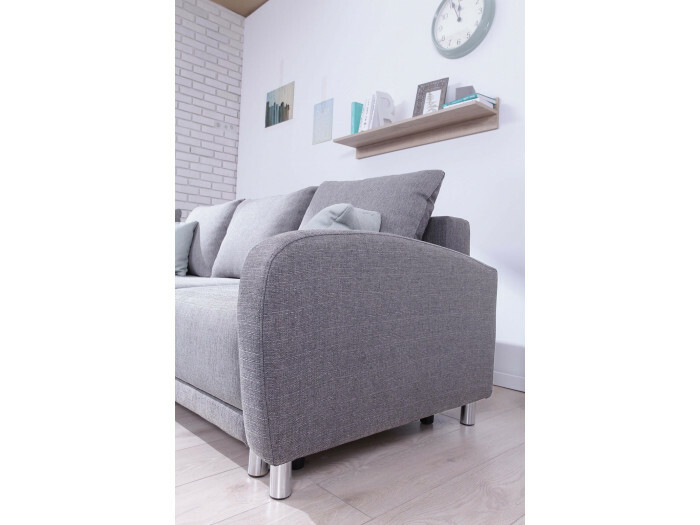 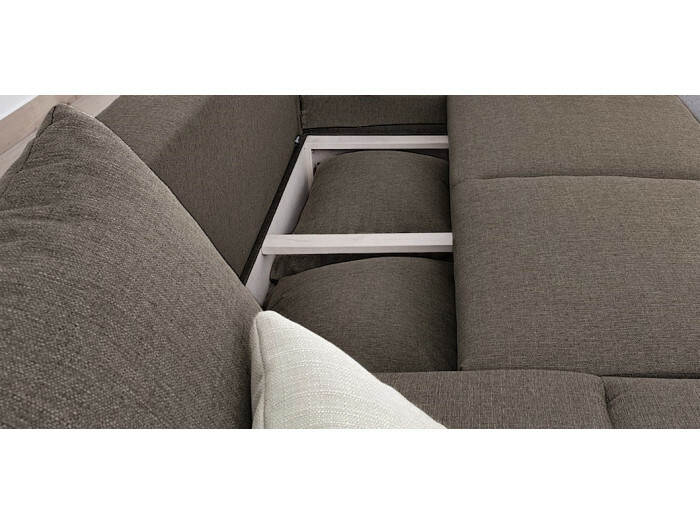 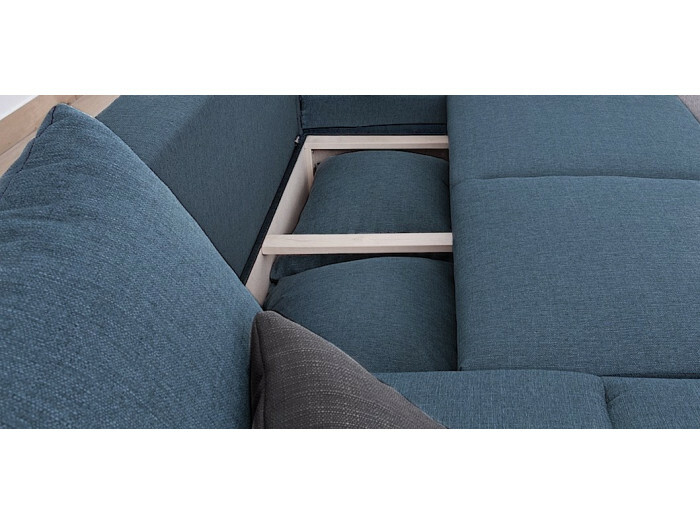 Laura, BOBOCHIC® sofa's expert Retrouvez tous nos conseils pour nettoyer et entretenir votre canapé BOBOCHIC® !